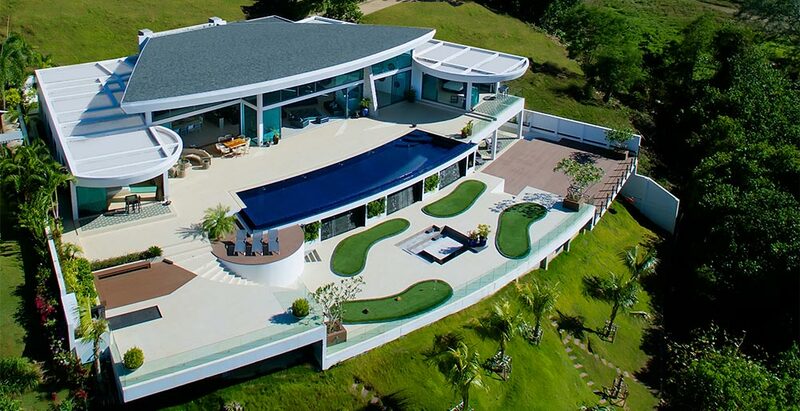 Villa Nautilus is a modern five-bedroom escape on a hillside estate in Ao Po; a spectacular setting on Phuket’s quiet east coast with panoramic views across Phang Nga Bay. Within easy reach of a superyacht marina and local piers, the villa is ideally located for those hoping to set sail and explore the beautiful islands and bays surrounding Phuket. Ample space both inside and out offers plenty of choice for dining and relaxing. A 20m pool, putting green, pool table and spa room are among the generous facilities, and a friendly team of staff, including a chef, offers five-star service.